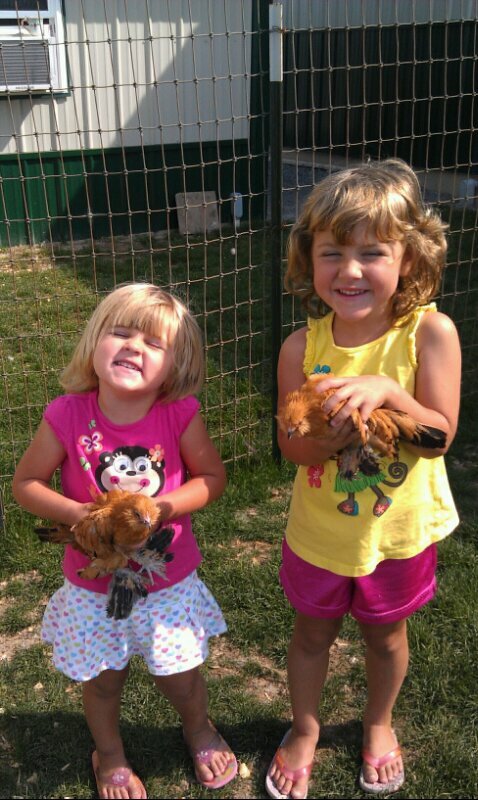 2012 brought a new adventure for our family- raising chickens! We are thoroughly enjoying having these feathered friends around, and after some training (not without incident I'm afraid), the dogs are trustworthy around them now too! 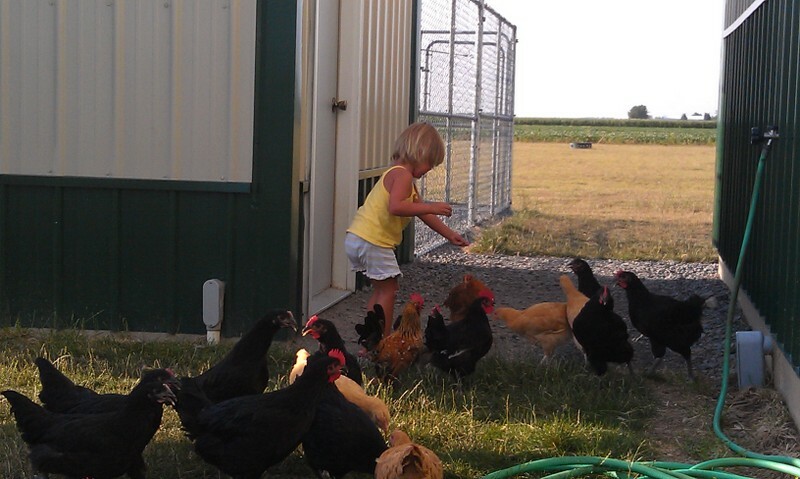 They are fun to watch peck around the yard, and my girls are learning how to take care of a new type of animal. And, it gets even better, they lay eggs for us! What's not to love? Oh wait, I know, the poop! We put up with the trade offs. 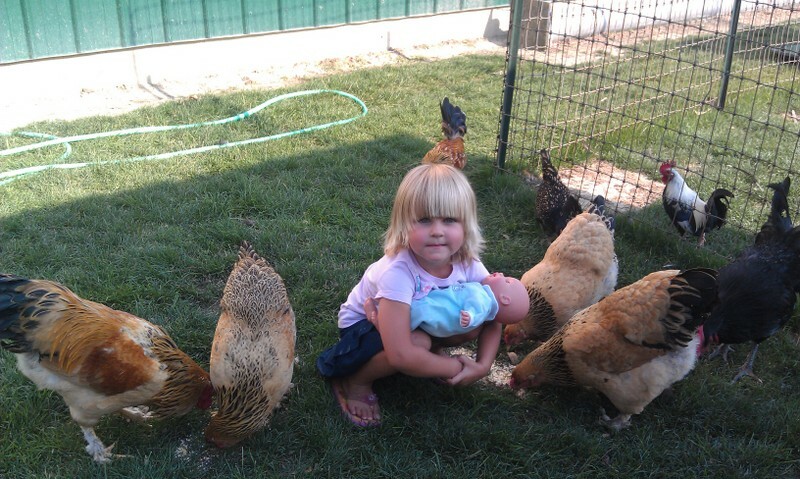 Alysann and her "baby" helping give the chickens some scratch.